Visitors drop into our blog for all kinds of reasons: maybe they want to watch our Spanish lessons on video and audio, or to keep up with news related to learning Spanish, such as the rollout of the SIELE exam, but what some of our visitors don´t realize is that Web Spanish is an online Spanish school that has been offering Spanish classes online for over 10 years. Our Spanish classes online are delivered by a team of teachers and linguists who have been specially trained to teach in the online environment and they are distinct from other Spanish classes you might find on the web in the sense that our entire curriculum was developed with online learning in mind: it has not been repurposed from the classroom, but instead built to order. This is what keeps our Spanish classes online so dynamic: lessons were created to be taught in a computer mediated classroom environment. In addition to our purpose-written coursebook, Web Spanish also uses more than 400 grammar review videos so students can return time and again to the lesson. 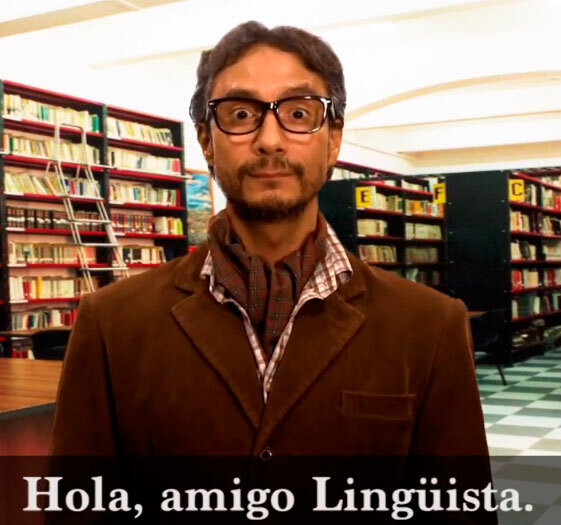 From time to time, we publish these videos here on the blog (see this lesson) so our visitors can get a sense of what resources they will be able to access if they enroll in Spanish classes online with us. We understand that this is a new way of learning, but we are convinced by years of experience that learning Spanish in online classes works. Thanks to the one-to-one model, classes can be tailored to your own requirements, and if there is a point you don’t understand, you can repeat it time-and-again until you get it; this is a luxury that you don´t have when studying in group. So, if you think that taking a few Spanish classes online could help you learn Spanish, remember that Web Spanish offers a free trial class, which will give you the chance to sample our curriculum and test our methodology; you´ll see for yourself how Spanish classes online might be the solution that you have been looking for. We invite you to join us.